At TPP, we genuinely feel that we are making a positive contribution to the third sector with exceptional charity recruitment, as well as the many additional free services we offer. We are delighted to see that acknowledged through the awards we have won or been shortlisted for. TPP are delighted to renew our REC Audited Status for 2018-2019. 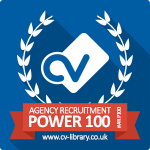 This award demonstrates our commitment to providing clients and candidates with the best service possible and gives you the confidence and assurance that we adhere to the highest standards within the recruitment industry. “REC Audited” is a robust non-sector specific audit package that validates recruitment agencies’ compliance with industry legislation and best practice. This comprehensive audit now goes much further than just compliance, requiring agencies to operate best practice in areas such as customer service, staff development, diversity and client management. 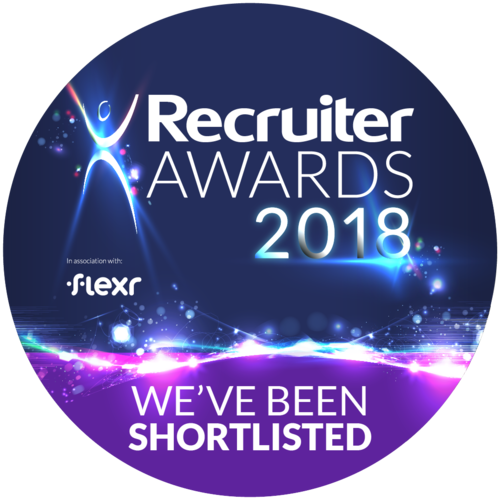 We are thrilled to announce we have been shortlisted for Recruiter Awards 2018 'Best Public/Third Sector Recruitment Agency'. The Recruiter Awards is the UK's largest event for the entire recruitment community recognising outstanding achievements by agencies and in-house recruiters. We have our fingers crossed for the awards evening! We are delighted to announce that TPP has been shortlisted for the UK Recruitment Blog of the Year 2017. This is the tenth year of the awards, that highlights achievements from recruitment blogs and bloggers - from traditional blogs and LinkedIn articles to podcasts and everything in between. TPP have been awarded Open Company status, an initiative launched by Glassdoor to recognise companies which embrace internal transparency. Feedback from our employees has given us a rank of 4.8 out of 5. TPP have passed and been awarded Investors in People for another three years. TPP have won in the 2016 Corporate Vision Recruitment Awards. These awards reward and recognise the very best consultants, recruiters and industry experts from around the world, regardless of business size or reputation. Skill, dedication and client service are the key focus, not profits or location. Reflecting our growth over the last couple of year, TPP has been listed in the RI Top 500 report, listing the UK's largest recruitment companies. TPP have been named as a winner in the 2016 Consultancy Elite awards in the Recruitment category. These awards recognise leading consultancy firms from across a wide range of sectors that have demonstrated ongoing commitment to providing their clients with the tools, methods and guidance they need to improve their decision making and efficiency. Jayne Morris, TPP CEO, recently graduated from the Goldman Sachs 10,000 Small Businesses programme, designed to accelerate growth in small to medium companies. TPP are delighted to have renewed our REC Audited status, the gold standard for recruitment, for 2016-17. This is a result of TPP's continued commitment to delivering a professional, ethical recruitment service to all those who deal with us. TPP has been named Best for Charity Recruitment - UK in the 2015 Corporate Vision Recruitment Awards. Facebook, Google+, LinkedIn, Instagram, Foursquare, Wikipedia and Klout itself. TPP were shortlisted for Best Recruitment Agency in the 2015 Insititute of Fundraising's Partners in Fundraising Awards. We won this category in 2013 and 2014. TPP have enrolled 15 of our consultants on the Institute of Recruitment Professionals Advocacy scheme to ensure that they stay up to date with all the latest legislation, continue their professional development, deploy best practice and are empowered with all the latest recruitment industry knowledge. TPP have won a gold BestFor Recruitment award in Not for Profit & Charity recruitment. These awards are only given to agencies that are leaders in their specific sector. TPP voted Best Recruitment Agency second year running! TPP were voted Best Recruitment Agency once again by members of the Institute of Fundraising in the IoF 2014 Partners in Fundraising awards. We would like to thank everyone who voted for us. TPP is very pleased to announce that we have been awarded the Investors in People Standard for the way we develop, support and motivate our team. TPP have become the first charity recruitment specialist to achieve REC Audited status, the gold standard for recruitment. 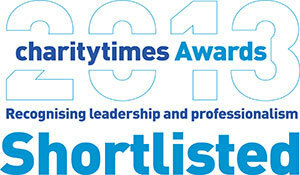 TPP is delighted to have been shortlisted for Consultancy of the Year in the Charity Times Awards 2013. TPP was voted Best Recruitment Agency in the 2013 IoF PIFAs. Many thanks to all the IoF members who voted for us.